It wouldn’t be a day that ended in “y” if LaVar Ball wasn’t making some crazy claim. This time he says he was a better tight end than Rob Gronkowski. From a guy who’s literally defining the head-slapping emoji, LaVar Ball is at it again. This time he’s moved on to Rob Gronkowski. Ball’s bounds apparently know no end. 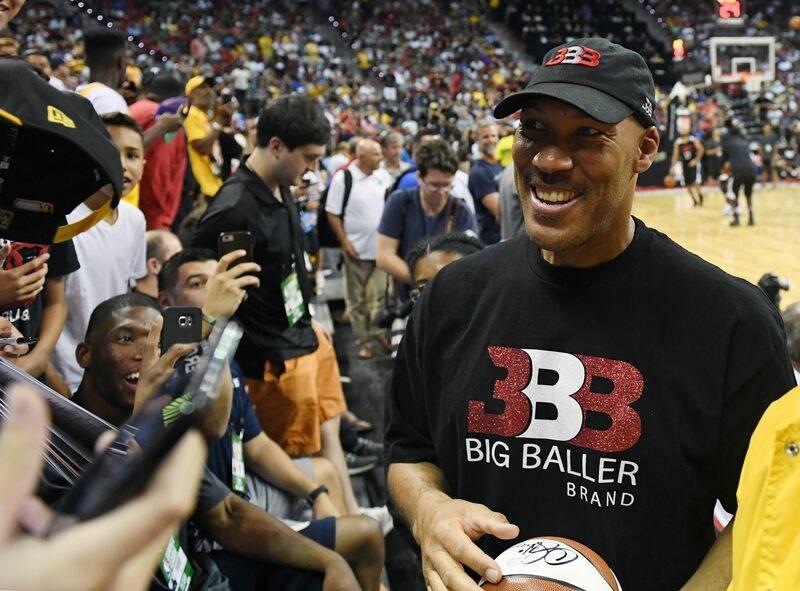 He typically focuses his bold statements on the NBA in an attempt to promote the Big Baller Brand. This time, he’s moved on to a different sport. Gronkowski can’t hang with me back in my heyday. He also went on to say that he was “too fast, too strong” compared to the four-time Pro Bowler. Despite Ball’s less than stellar college basketball career, he did get some run with the London Monarchs. Heck, he even tried out as a tight end for the New York Jets in 1994. However, he was so unimpressive most of his teammates forgot they even played with him. That’s embarrassing. He’s previously denounced Michael Jordan stating he could beat him in a game of one-on-one. That wasn’t bold enough for Father Ball as he continues to up the ante the more the spotlight is on him. At this rate, he’s is going to usurp Chuck Norris as the meme king. We are already beginning to see fake Ball’ism’s pop-up on Twitter. Maybe it’s our fault as the media, as we continue to give him a platform.